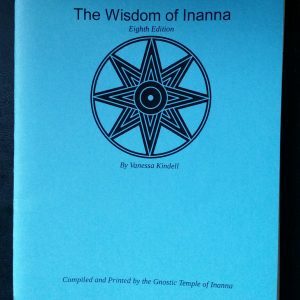 This booklet includes everything you need to know to create your own cuneiform tiles and begin divining using the ancient writing of the Sumerians and the magical Tree of Life from the Kabbalah. In ancient Sumeria, writing didn’t take the form of pen, paper and ink, instead it used clay, a stylus and careful lines by a trained scribe. 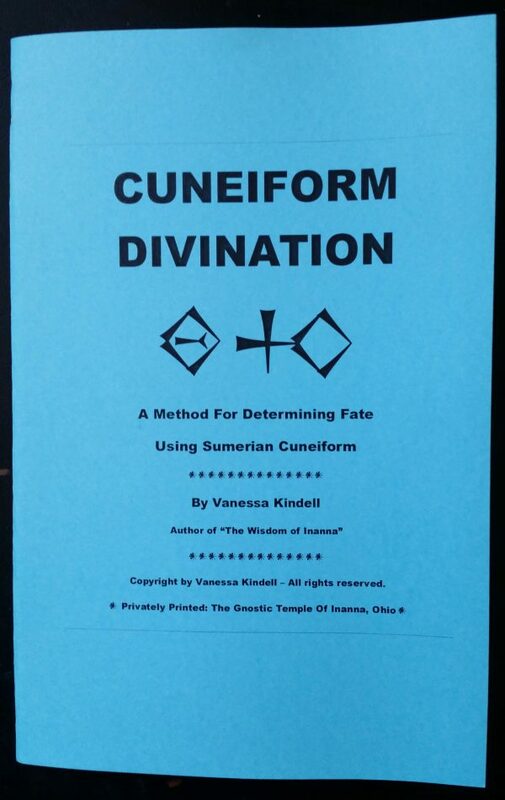 Using this ancient form of writing along with a system derived from the magical Kabbalah and Tree of Life, Vanessa has created a system of divination perfect for those seeking a more ancient feeling to their magical divination. It is a system that will appeal to those familiar with Tarot, Runes, Astrology or the Kabbalah but is simple enough that even those entirely new to the art of divination can use it. Before even the written word, the Sumerians kept track of complicated financial transactions using small clay tokens which were marked to look like the item that they were meant to represent. 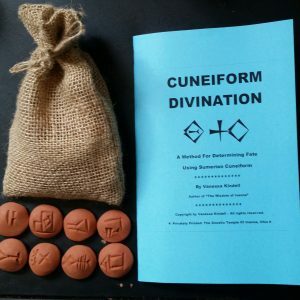 Combining the Sumerian cuneiform writing, with the clay tokens and the Celtic art of determining fate from runes and with a dash of Kabbalah this system presents a unique method to divine fate and map one’s spirit. This booklet includes everything you need to know to create your own cuneiform tiles and begin divining using the ancient writing of the Sumerians and the magical Tree of Life from the Kabbalah. Includes digital edition PDF with purchase.